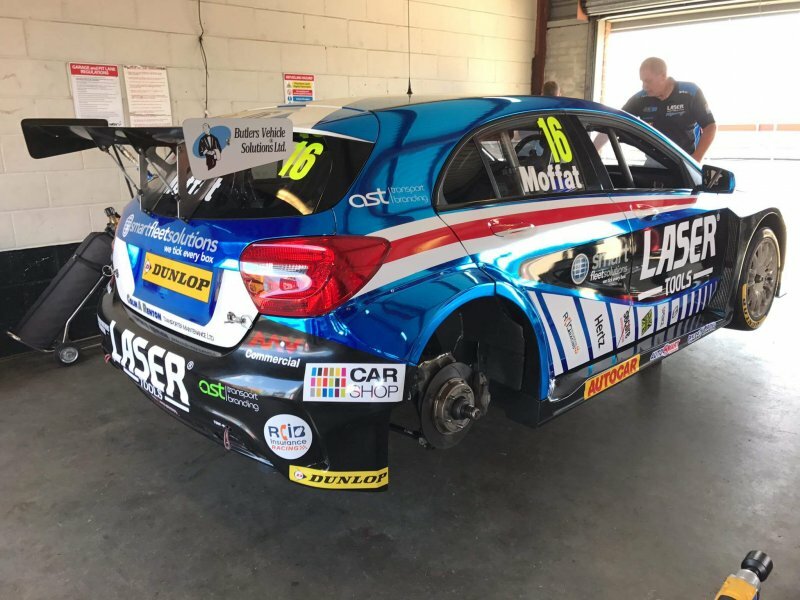 British Touring Car Championship cars had lined up at Snetterton circuit track on the 5th and 6th of July for a two day Dunlop tyre test day, three weeks before the official race, which will take place on 29th to 30th of July. If you wanted to see an adrenaline packed race – this is the one to look forward to. The two day tyre test gave the teams and drivers the chance to get some valuable track time ahead of rounds 6 & 7 which will be held at the famous Norfolk circuit. 30 drivers took advantage of the tyre test days, where they were faced with varying track conditions and temperatures. Wednesday was incredibly dry and hot, seeing the track temperature rise above 40 degrees, which allowed all cars the chance to test the prime option Sport Maxx tyres. Thursday, on the other hand, gave turn to a more British weather and concluded with showers around lunchtime, this gave the opportunity to test the wet weather tackling Dunlop Blu Response tyres. All tyres seemed to have performed well, however, due to inconsistencies in the track, performance could not be rounded up. These tests are extremely valuable to both drivers and Dunlop Motorsport, allowing them to carry out evaluations and and offer additional track time if needed so. Another reason for the drivers to push harder this year is the Dunlop Motorsports ForeverForward award, which will be rewarded to one of the drivers for their determination and fight-backs from adversity, the overtaking league focuses on the battles through the field with one point awarded for every position gained. Matt Neal is currently in the best position to take home the award after five rounds and at the moment stands with 135 points. However, Colin Turkingtonis is not far behind with 130 points. Further five BTCC races will determine the winner!